This time of year has me all crazy, trying to enjoy the massive amounts of especially awesome fresh produce. 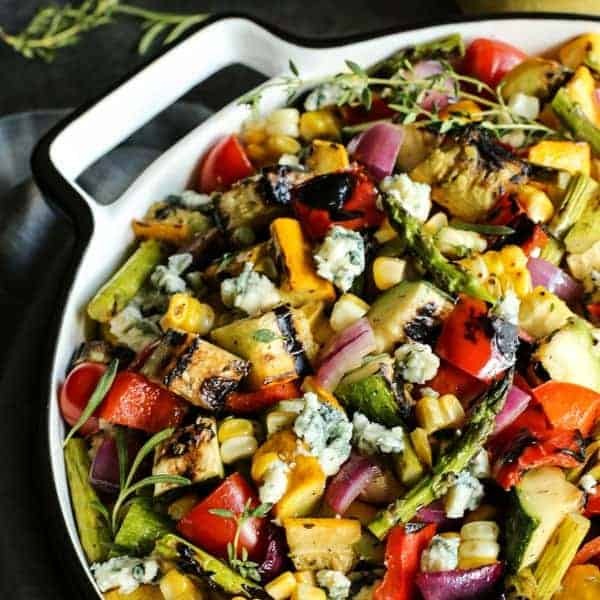 The beautiful fruits and vegetables – I wish we could have these choices all year ’round! If you like to bake with peaches, this is a must-try recipe. I’ve been making it for years, and always get great feedback on it. 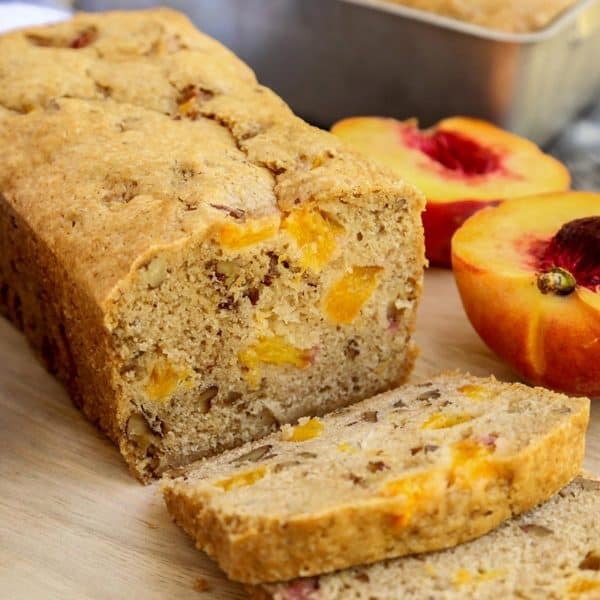 Make this Peach Bread now, while the peaches are at their peak of summer sweetness! *Here are a few more peach recipes I’m loving right now: This Peach Streusel Coffee Cake in a Skillet is great for a summer brunch. My family loves these Almond Peach Squares. And nobody makes a fresh peach pie like my mom, it’s my favorite pie in the world: Mom’s Peach Pie. 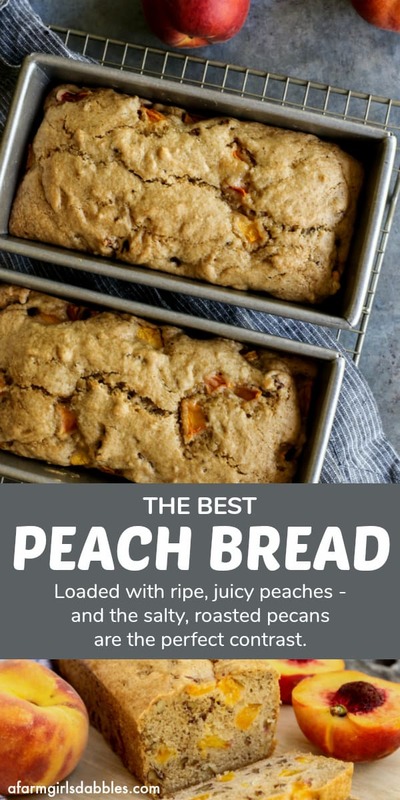 I baked up a couple loaves of this peach bread a few days ago and was reminded of why I had drawn such a big smiley face beside this recipe in my file. And an easy way to enjoy a baked treat utilizing peaches. Especially when you don’t know what to do with overripe peaches! 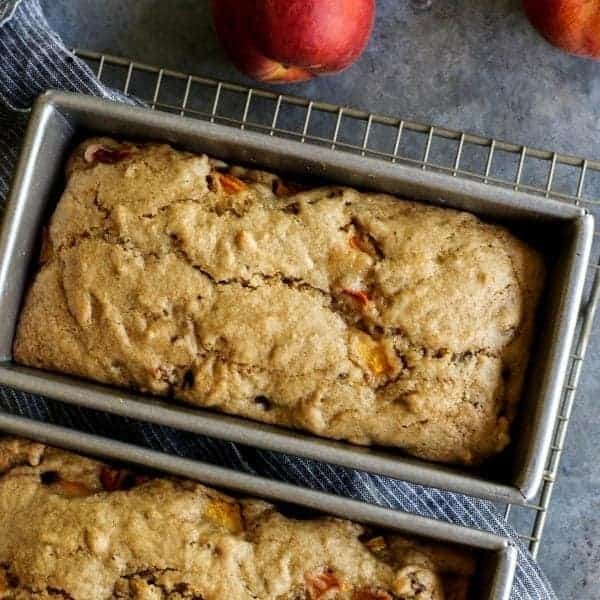 This peach quick bread is a dense one. The batter itself starts out quite thick. So thick, that I get quite alot of comments from readers asking me if the recipe is written correctly. And, yes. The recipe is correct. But it’s very important to note that the #1 thing you should do in this recipe – is to use the ripest, juiciest peaches you can find. This helps to add moisture to the super thick batter, and loosens it up a bit. Just trust me – the recipe works perfectly when you do this. ** RECIPE UPDATE! This continues to be a very popular recipe here on the blog, and feedback has been split about 50/50. So many of you love this recipe as-is, and I believe those people are using the very ripest peaches they can find – because that DOES make a difference. The other 50% say this recipe is a bit dry. So I have played around with the recipe and provided an alternative that is lighter in texture, a bit more moist. You’ll find BOTH options on the recipe card, as I simply cannot get rid of the original recipe that I know so many of you have grown to rely on. I especially love the texture of this quick bread’s top. It’s almost chewy, with just a bit of crisp to it. And under that top is a moist and flavorful center, with chunks of ripe peaches adding tender bites of sweetness. And the nuts, ohhhhhhh the nuts! 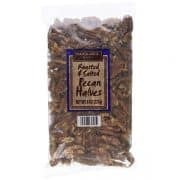 I like to use roasted and salted pecans. 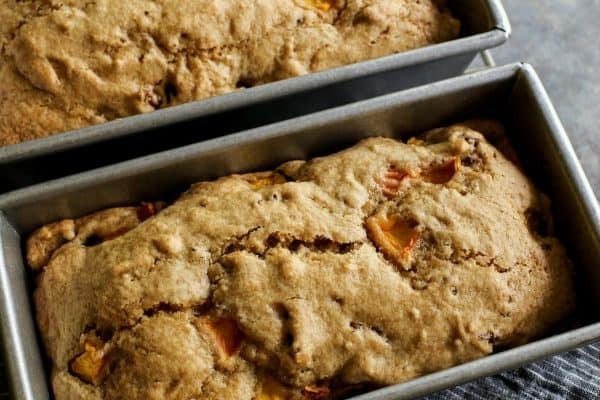 They add just a little somethin’-somethin’ extra that makes this the best peach bread recipe. Roasted nuts always add deeper flavor than non-roasted. And nearly every baked good recipe is made just that much better with a simple little touch of salt. *Here are a few more peach recipes I’d like to try: Don’t these Grilled Peaches with Bourbon Brown Butter Sauce from Fifteen Spatulas look wonderful?! Also this Texas Peach Pecan Cobbler from Bake at 350 and Fresh Peach Ice Cream from Big Bear’s Wife! 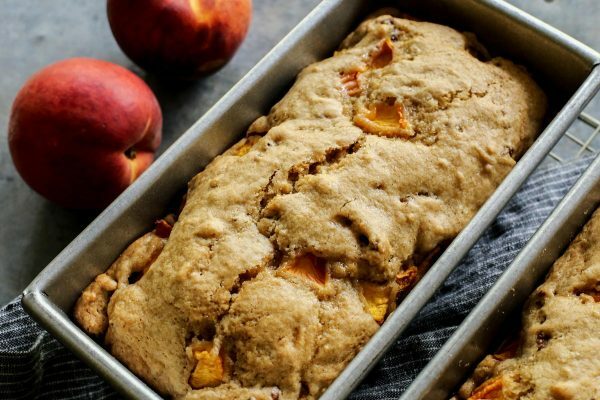 To save this Peach Bread, pin it! 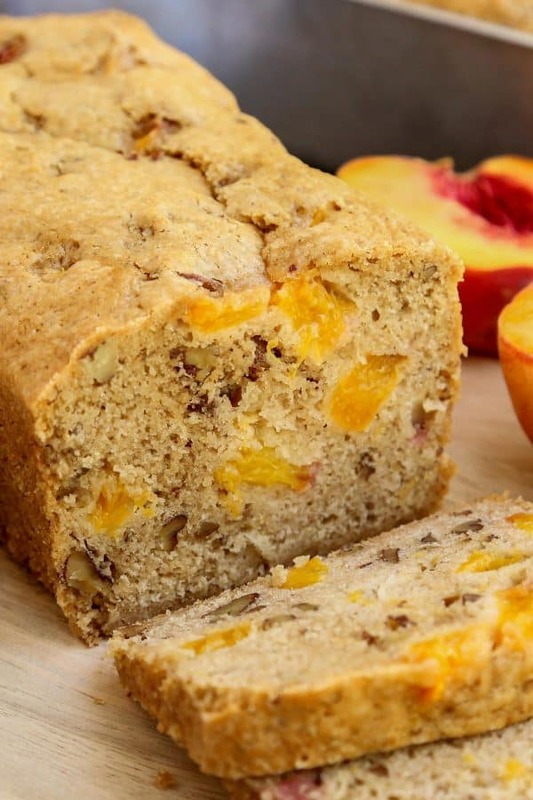 This moist and flavorful quick bread is full of ripe, juicy peaches and salty roasted pecans. It’s a wonderful way to enjoy summer’s best peaches! 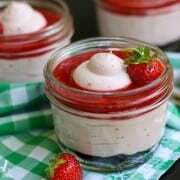 ** RECIPE UPDATE! This continues to be a very popular recipe here on the blog, and feedback has been split about 50/50. So many of you love this recipe as-is, and I believe those people are using the very ripest peaches they can find – because that DOES make a difference. The other 50% say this recipe is a bit dry. So I have played around with the recipe and provided an alternative that is lighter in texture, a bit more moist. 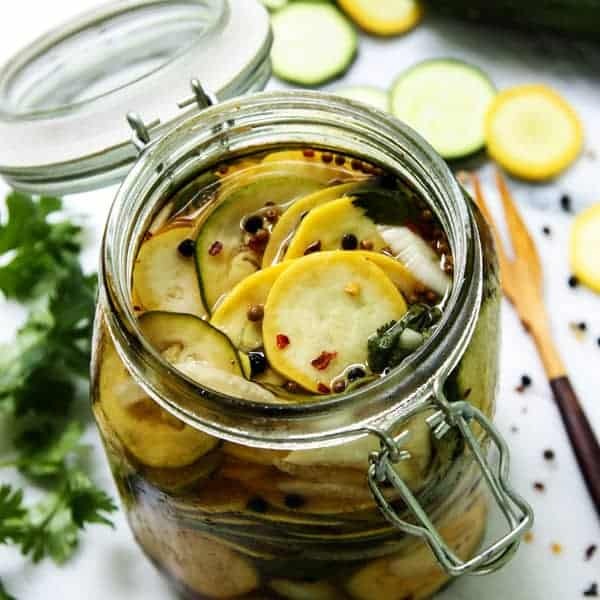 You’ll find BOTH options here on the recipe card, as I simply cannot get rid of the original recipe that I know so many of you have grown to rely on. Go to the bottom of this recipe card for the alternate instructions! 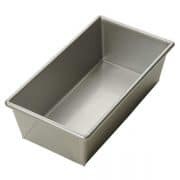 Lightly spray the insides of two smaller loaf pans – I use these 8″ x 4″ loaf pans with a 3/4-pound capacity, which is a slightly smaller version than the regular 8″ x 4″ loaf pans with a 1-pound capacity. But this slightly smaller size is my favorite – I’ve been baking with them “forever”. Set prepared pans aside. In large mixing bowl, stir together flour, baking powder, cinnamon, and salt. In a medium mixing bowl, beat eggs. 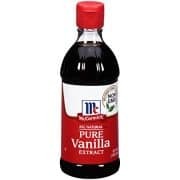 Stir in sugar, oil, and vanilla. Add egg mixture to dry ingredients, stirring until just moistened, taking care to not over mix. Fold in nuts and 2 cups of the peaches. Spoon batter into the prepared pans – and then add remaining 1/4 c. peach pieces to top of batter, pressing them in just a bit. Bake for 55 to 60 minutes, or until a wooden toothpick inserted near the center of each loaf comes out just barely clean. My 3/4-pound capacity pans are slightly smaller than a regular 8″ x 4″ size with a 1-pound capacity, so you may need to adjust baking time according to your own pan size. Cool in the pans on wire racks for 10 minutes. Then loosen edges with a bread knife and remove loaves from pans. Cool completely on wire racks. Wrap and store overnight for easier slicing. Delete canola oil from Ingredients list and add 1/2 cup unsalted butter. When you start this recipe, gently melt the butter first and let it sit to cool to room temperature while you prepare the recipe. Add the melted butter (cooled to room temperature) along with the sugar and vanilla, and then stir in 1 cup whole milk plain Greek yogurt. Proceed with original recipe instructions. You will need to bake this alternate recipe a little longer, for 65 to 70 minutes. Adapted from Midwest Living magazine – originally from Sue Landon, owner of The Homeridge Bed and Breakfast near Jerseyville, IL. This post was originally published in 2010, and has been a popular reader favorite. Some of the photos and some of the text were updated in 2018. I have a whole box of mealy peaches that are obviously from the end of the season. Would these work in your recipe? 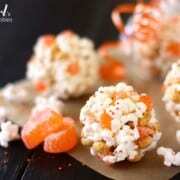 Also, I am making this for a nut-free group. Any ideas for substitutes for the nuts? Came A cross your recipe thought it sounded interesting and good so decided to make it tonight . I live in New York and maybe at The altitude is why it was so thick in the bowl when mixing , but I continued put it into the bread tins. totally enjoyed it smell good when cooking and tasted really great can’t wait to take some to work and give to others I work with . Hello Karen – thank you for coming back to let me know. So glad you liked the peach bread! This bread is AMAZING! Moist and plenty sweet using fresh peaches. I used 1 stick melted butter (no oil or anything else for moisture) left out yogurt since I didn’t have. Be careful not to overmix. The smell of this bread is divine! Never had anything like it. Use bigger peach chunks thank you think, plus the extra peaches pressed in the top really is a nice touch. This is a keeper. Makes two good size loaves. I think it needs to bake at a higher temp (at least in Denver as the top was not brown at all). I’ll test that out. Gah. I’m so disappointed. I read the adaptation stuff and comments about consistency, but since my peaches were incredibly ripe and juicy I decided it try it the original way. It is so so dry. I’m super sad to have used my delicious peaches and blackberries and basically have inedible bread. It’s so dense and dry. All I can think of is that we will use it like biscuits and try to turn it into strawberry shortcake with ice cream and strawberries and whipped cream. It smelled so good. I followed some of the comments and added a bit more oil and a Mott’s unsweetened applesauce. I still find the loaves a bit dry. However 1 1/2 cup of sugar was the right amount of sweetness. I made one loaf with nuts and the other with no nuts to satisfy our family. I think the recipe still needs a bit of tweaking for it to be moist. I made this and used a 29 oz can of sliced peaches, cutting them into small pieces and draining the liquid. I had no problems with it being dry. I left out the nuts, because my family doesn’t like nuts, and sprinkled cinnamon sugar all over the tops before baking. It was fantastic and will become a new favorite in my quick bread recipes. Thank you for sharing! I’m so glad you found an adaptation that your family loves! I had some nectarines that needed to be used and came across this recipe. I also substituted walnuts for the pecans. The loaves just came out of the oven and smell heavenly!! Cannot wait to taste them! I noticed you live in South Dakota, I still have family on the east side of the state. Thank you for the recipe! Wonderful – thanks for letting me know! I grew up in the northeast corner of South Dakota, have lived in Minnesota for the past 20 years now. Most of my family is on the east side of SD too! I followed the recipe exactly but didn’t really like how the bread turned out. It’s very heavy, and not sweet like I expected it to be. It smelled divine while cooking, though! Hello Cassie – I’m sorry to hear you weren’t a fan. In the post, I do talk about how this bread is very dense, so that part of your comment does not surprise me. 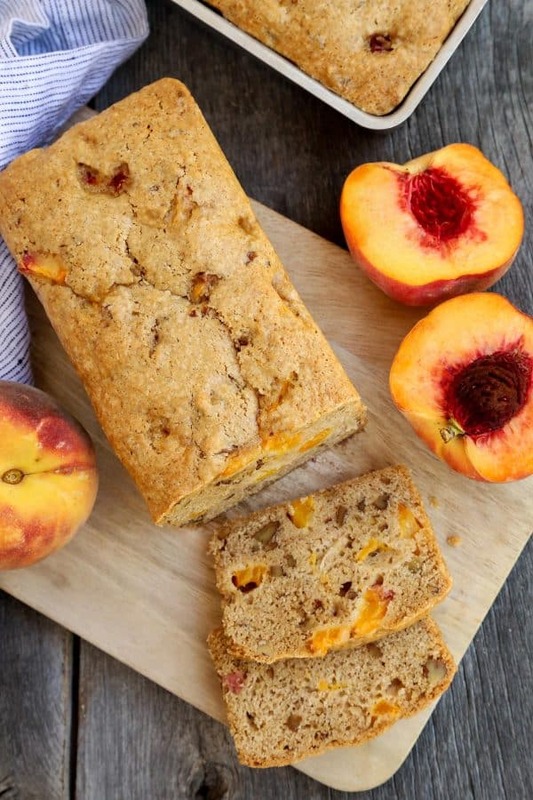 The sweetest, juiciest peaches will give you the very best loaves when using this recipe. What happens if you overmix it? The recipe sounds and looks really healthy I used honey instead of sugar and it came out good it tasted great too I’m just wondering how it would have tasted if I didn’t overmix it. Would walnuts work instead of pecans? Thanks so much for this recipe! The bread is so delicious! Both loaves vanished almost as soon as they were cool enough to eat. This has been a fantastic year for peaches, so I hope to have a chance to make this again. A friend of mine passed this recipe along to me, and I followed a couple of tips from her experience (she loves this bread, too). She also had issues with the batter being too dry, so added some extra oil. I did not have this issue, though. I think a lot has to do with how ripe your peaches are, so a little adjustment may be needed. I peeled and chopped my peaches over a bowl to catch all the juice, and added that to my batter. Why waste? Also, my friend suggested taking a few handfuls of chopped nuts and mixing them with a few spoons of brown sugar. 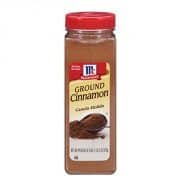 Sprinkle this on top of the loaves before baking. This adds a lovely sweet crunch to the finished bread. Yum! I love the nuts on top! Thanks Kitty, so glad you like this recipe! Hi, there! I had to give this bread a try because I love the flavors happening here: peaches, pecans, cinnamon! I wanted to comment my experience with this bread in case some of you were having the same problem. Firstly, I did use coconut oil instead of canola oil, and I also used two 9×5 pans because I didn’t have the size recommended. When mixing the batter together I was presented with a big problem: the batter was too thick! And I don’t mean just a little too thick like a hearty bread. I mean so thick that a huge amount of flour wasn’t even mixing in. It was SO DRY. So, I upped the oil to 3/4 cup and I also added 1/3 cup water. I do bake A LOT and I live at a very high altitude (Boulder, CO) so I felt confident after switching the liquids up a bit. Once I got the batter to a very thick but not dry consistensy I went ahead and threw the loaves in the oven. I also took down the cooking time to 45 minutes because I used larger pans so the batter isn’t packed as high as it would be in the smaller ones, and also because my oven is finnicky and usually runs hot. They just came out of the oven and they look gorgeous! Smells delicious and toothpicks came out clean. Will be slicing in soon. Thanks somuch for the recipe. Just a few alterations and this is lovely. Bread I just saw your recipe and it sounds so good I have two loaves in the oven right now I am sure that it will be delish. Thank you for the recipe. We made this tonight, and all of my family (husband and 6 kids) loved it! I chopped the pieces quite a bit smaller because I thought some of my children wouldn’t like the larger pieces of peaches in there. We will be making it again soon. Thank you for the recipe! Due to a neighbor’s generosity I have half a dozen peaches left out of three times as many. They were perfectly ripe two days ago and I don’t want them to get too soft. 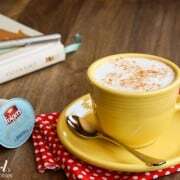 I live at 7600 feet and would ordinarily reduce the sugar a couple of Tbsp/cup and increase the liquid by the same amount. Not being chemist I really don’t know the difference between baking powder and soda — do you think I should reduce the powder by 1/4? Thanks — I can hardly wait to have the aroma filling the house now that the weather is getting cooler. I just got some fresh peaches from our neighbor’s tree so I’m glad you’re not breaking out the pumpkin just yet! 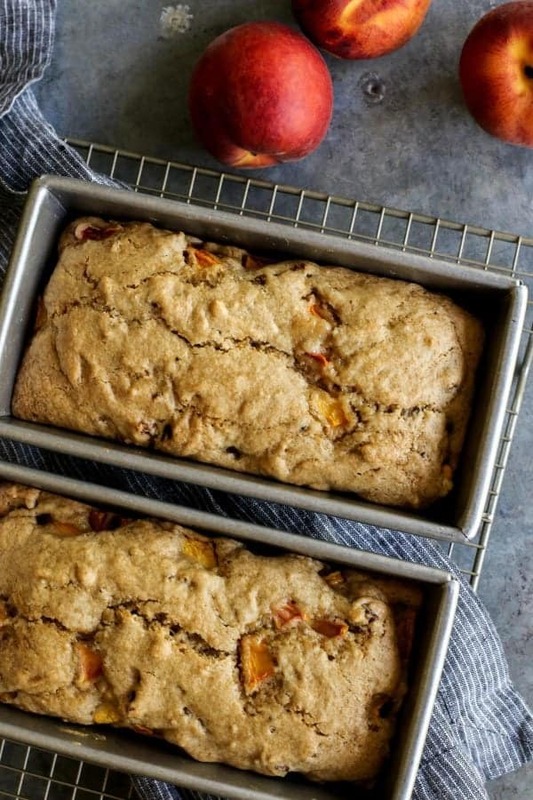 This peach bread sounds like such a good end-of-summer treat! hey girl this looks so divine! Very creative! Did you miss the baking soda? All the other recipes I have looked at had 1 tsp. of baking soda in the ingredients. Hi Joyce. The recipe is correct as written. Thanks! This is the first online recipe I’ve ever made, not an exaggeration, that came out as promised down to the cooking time. It’s delicious! Awesome, David. So glad you like it! They are in the oven now! I had just enough frozen peaches left over from last fall in the freezer. I didn’t have pecans so I substituted ground walnuts! ! Wonderful!! Thanks for sending along the note, Koreen. Happy Weekend to you! I love your blog. I am enthusiastic to try your lasagne soup and I’ve bookmarked several other recipes. The peach bread came out too dry, perhaps because I didn’t use enough peaches? I’m hopeful that on the next go — by adding more peaches and perhaps some sour cream or yogurt, or an extra egg yolk — I might achieve that comforting morning-bread moistness! Thanks for your wonderful writing and ideas. Hello Chris – that lasagna soup is always a winner – hope you like it! I’m not sure what to tell you on the peach bread. 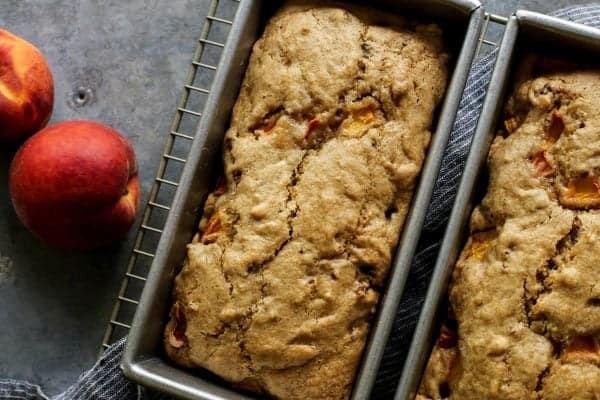 I make this recipe whenever we get a box of fresh peaches each summer, and I’ve never had an issue with the bread being dry. When I combined the wet and dry ingredients, It was fairly dry, so I added a half cup of pear sauce (we have pear trees so we make pear sauce instead of applesauce). I also added a little bit of ginger. The bread was delicious! Thanks for the recipe. Thanks for the hint. Just finished mixing the wet and dry and seems awfully dry. 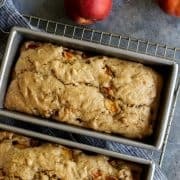 I tried this peach bread and it was fantastic. Both my husband and I love peaches and we both really liked this bread. Can’t wait to try it with homegrown peaches next summer. Wanted to let you know your Peach Bread is the Best!!! My husband loved it so much I made 2 more loaves to put in the freezer. This looks solo good, can’t wait to try it. Do you think I could use frozen peaches? Nothing better than a recipe with peaches!!! Do you think I could substitute canned unsweetened peaches for the fresh peaches? Fresh peaches are not as available as they were back in Sept. here in NH. I may try fresh pears as a substitute…..yum! Hi again Avril…sorry I forgot to address your question! Yes, I do think you could substitute canned peaches in this recipe. I haven’t tried it, but I do think it would work. Please let me know! That bread looks absolutely gorgeous – I’m 100% positive that this re-affirms my choice to dice some peaches and throw them in the freezer. Hello again! And thank you. I have 4 peaches left, gonna bake up a few more loaves today to stick in the freezer myself! Hello Monette – thanks for stopping by! Thanks for the slice of peach bread. It’s wonderful. I needed something peachy today! I made the bread in the smaller pans. Smells yummy! Can’t wait to taste it. Looks delicious Brenda…and I do have a few peaches left from canning! I also love Penzey’s spices! Hi Andrea! Do you live near a Penzeys store or do you order online? It’s better than a candy shop for me. And, you’re welcome – it looks great!